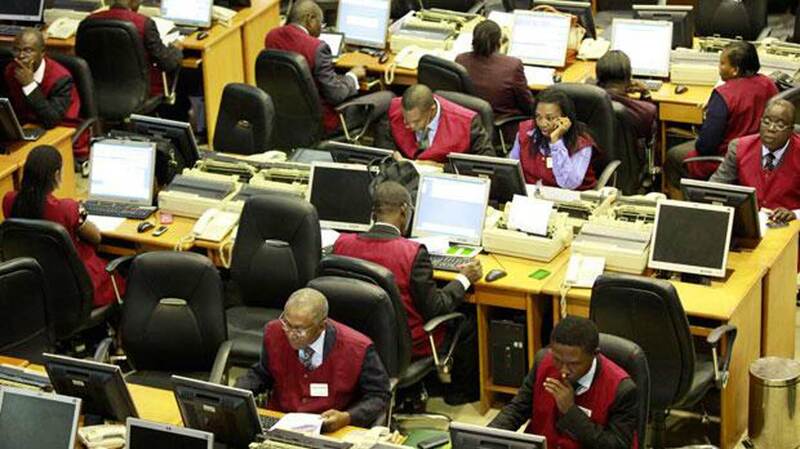 Friday’s session on the floor of the Nigerian Stock Exchange (NSE) ended in the negative territory as investors continue with the panic selling of their shares due to political uncertainty as well as worries in the emerging markets. The local bourse closed 0.21 percent lower yesterday, dragging the Year-to-Date return to -11 percent at the close of transactions. YtD return is the amount of profit generated by an investment since the beginning of the current calendar year, indicating that the stock market has lost 11 percent since the beginning of 2018. In 2017, the NSE appreciated by over 42 percent, making it one of the five most profitable in the world. Since the local political scene became heated ahead of the 2019 general elections, investors have been selling off their stocks, hoping to return after the polls in February 2019, when things should have possibly been calm. Business Post reports that the All-Share Index (ASI) depreciated by 72.31 points on Friday to settle at 34,037.91 points, while the market capitalisation decreased by N26 billion to finish at N12.427 trillion. Yesterday, the Financial Services sector led the activity chart with 137.3 million shares exchanged for N1.6 billion, while the Consumer Goods space followed with 5.8 million equities transacted for N272 million. A further breakdown showed that GTBank emerged the most traded stock at the market, selling 27.2 million units for N948.9 million. It was followed by Zenith Bank, which traded 19.7 million equities worth N412 million, and Soverign Trust Insurance, which exchanged 12.7 million shares valued at N3 million. Fidelity Bank traded 10.8 million shares for N18.6 million, while Skye Bank transacted 7.9 million equities worth N4.4 million. At the end of the day, while the volume of shares moved by investors decreased by 5.20 percent from 164.5 million to 156 million, the value increased by 1.51 percent from N2.07 billion to N2.1 billion. Business Post reports further that the market breadth ended negative on Friday with 14 price losers against 13 price gainers. GlaxoSmithKline led the 13 price gainers yesterday after going up by N1.20k to finish at N14.30k per share. Mobil Nigeria grew by N1 to close at N180 per share, while Dangote Sugar went up by 90 kobo to end at N16 per share. Diamond Bank appreciated by 10 kobo to settle at N1.33k per share, while May and Baker increased by 9 kobo to close at N2.49k per share. However, Dangote Cement suffered the biggest price loss at the close of market on Friday after going down by N1 to settle at N223 per share. Union Bank lost 55 kobo to finish at N5.30k per share, while Lafarge went down by 15 kobo to close at N23 per share. Zenith Bank fell by 10 kobo to end at N20.90k per share, while Oando also decreased by 10 kobo to finish at N5.25k per share.